We are proud to honor these ancient Coat of Arms of that can be customized to your graphic needs. 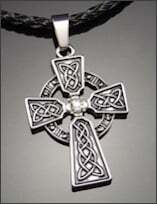 Proudly display your heritage at family gatherings, festivals and historical attractions. They make for a wonderful eye-catching conversation piece! We provide three different products as part of our Custom Shield graphics portfolio. Mix and match the options to suite your needs. 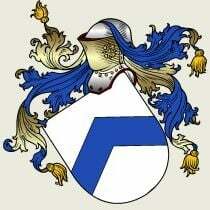 Add your surname to a banner scroll and your Coat of Arms to the shield. Our instant download product will be delivered to you shortly (less than 24 hours) after purchase and contains a minimal color scheme much like the preview image. Our enhanced download product will be personally touched up by our studio graphic artist before delivery resulting in a full color rendition of the design image which is 3.5 inches by 5.0 inches. If you require an extra large version, we can provide up to 60.0 by 72.0 inches, just select from the dropdown menu. If you require a larger size then this, please contact us for a custom quote. Enhanced download designs are rendered in glorious 24k for maximum color and resolution. We can provide our download products in GIF, JPG or PNG formats for maximum compatibility. A transparent background is standard for GIF and PNG formats. Our design products are perfect for school projects, letterhead, email, website, newsletters and brochures. No shipping charge for this item - you will have instant access within several hours or it will be sent to you by email within 24 hours depending on the product you choose.